If you are tired of building and kill mobs, we recommend to download Achievements mod for Minecraft PE. Now you will be able to play the game and open up new achievements. 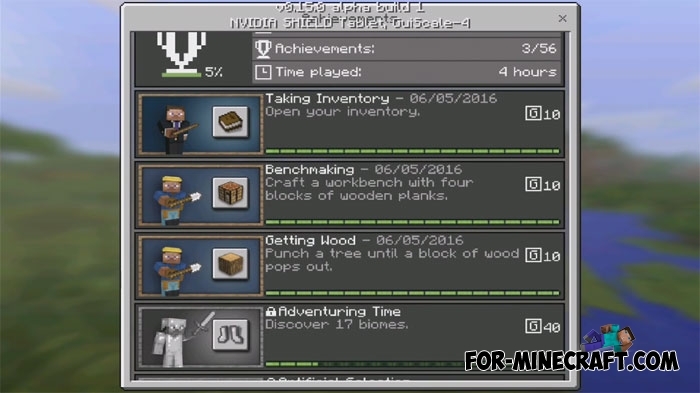 Mod is similar to the mod for Minecraft PC version but has a smaller number of achievements. After installation, you'll get a new box, where you can see all the achievements and methods of preparation thereof. 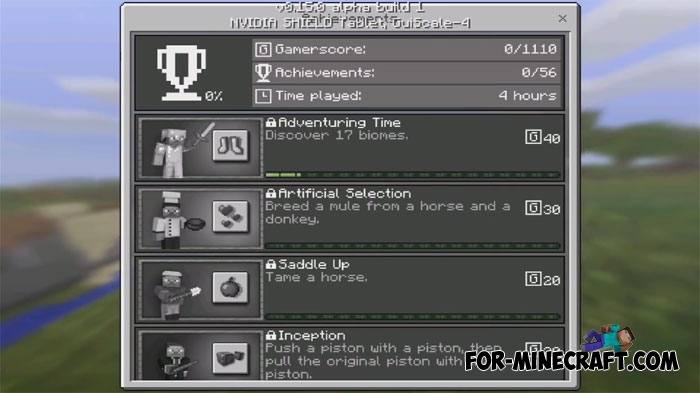 For example, you open your first achievement in a time when you will create world and the start playing. 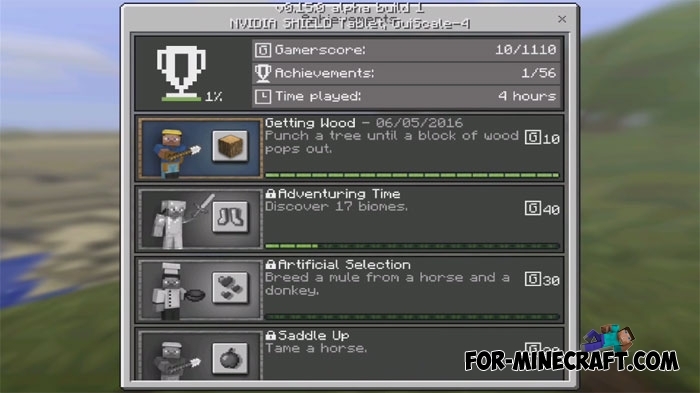 Then, the second achievement can be cut down tree. You see a lot of similar mini tasks and they become more difficult to perform. After receiving a new achievement, you'll see a notification in the upper-right corner of the screen. 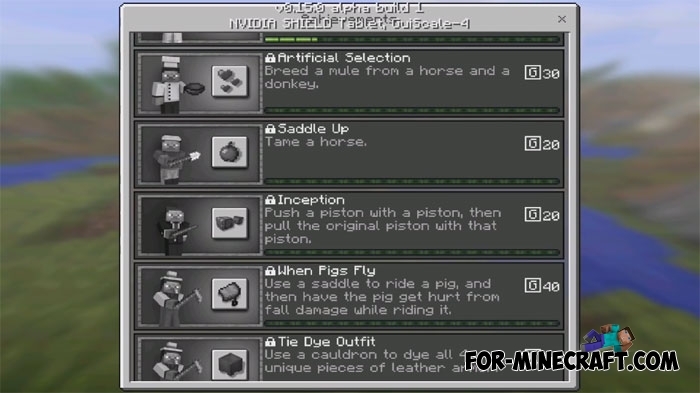 If you get all the achievements, write a comment.